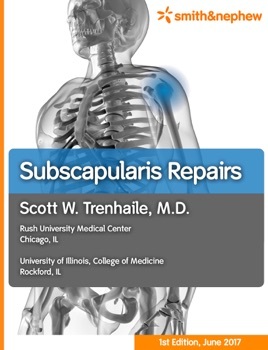 This iBook was prepared under the guidance of Dr. Scott Trenhaile out of OrthoIllinois. Dr. Trenhaile also serves as Clinical Assistant Professor at the University of Illinois College of Medicine: Rockford, and Assistant Professor at Rush University Medical Center Medical Collage in Chicago. This iBook is provided for educational and informational purposes only. It contains a summary of a medical technique and opinion based upon the surgeon’s training and expertise in the field, along with his knowledge of Smith& Nephew’s portfolio of products. Smith & Nephew does not provide medical advice and this technique guide is not intended to serve as such. It is the responsibility of the treating physicians to determine and utilize the appropriate products and techniques according to their own clinical judgment for each of their patients. For more information on the products in this surgical technique, including indications for use, contraindications, effects, precautions and warnings, please consult the products’ Instructions for Use (IFU).